Orri hau euskaraz ere itzuli da laster. Begiratu berriro laster. ​Mercedes Mendive is the daughter of Joe and Veronica Mendive. 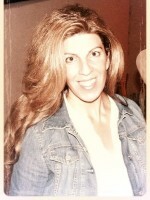 She attended schools in Elko and has lived in Reno, as well as 11 years in Miami, Florida. Her father, Joe, was very involved in the local Basque Club and especially the preservation of Basque music. He was undoubtedly one of her greatest influences beginning at a very young age. When Mercedes was about 7 or 8 years-old, her father recognized a musical inclination about her. Whether it was a xylophone, keyboard, recorder/flute or percussive instruments, her father and mother did their best to accommodate her musical interests. Prior to learning the accordion, Mercedes began playing the piano and took piano lessons for a short period of time; however, she says that interestingly, when she began playing the piano, it didn't feel right; if anything, it felt foreign and unnatural to her. 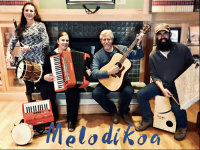 Nevertheless, Mercedes’ parents were always a huge support in her musical endeavors and made it possible for her to acquire the instruments that she needed to evolve, particularly when it came to the accordion. Finding a good accordion wasn't an easy task at all in the early to mid 80's as there was no internet, no such thing as Google, or eBay. 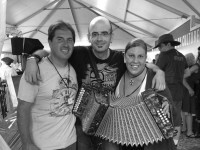 It took them several years to locate the factory in Italy that made the Paolo Soprani accordions; however, once the Mendive family was able to make contact with the factory (with the help of a family friend who did business in Italy), Mercedes' parents ordered her first professional accordion. Ironically, the accordion factory only made one accordion per day so when her father placed the order for her Paolo Soprani, she essentially went on a waiting list. By the time the accordion was picked up and brought back to the United States it was nearly a year later. 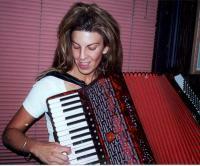 Mercedes' new accordion was hand-delivered in the early Fall of 1996 (thank you Mike Forbes). Essentially from that fateful day forward, Mercedes began an incredible musical journey that has shaped her life in ways she could have never imagined. 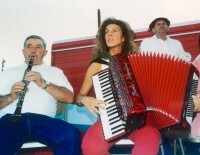 As a young child she recalls attending Basque dancing practice at the Girl Scout House, but what stands out in her mind about these practices was the live accordion music being played by a magnificent accordionist named Bernardo Yanci and clarinetist, Jean Iribarne. 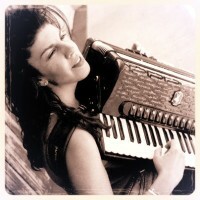 From this very influential age, the sound of the accordion was constantly present in her world. At home she was constantly exposed to a wide genre of music thanks to her father. A chance happening though at the age of 10 would change her life forever. By a happy coincidence she accompanied her dad to Bernardo's house for a visit one afternoon. 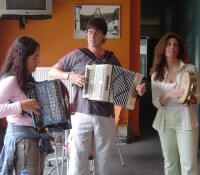 Bernardo's daughter had a beginner's accordion, which Mercedes began to play with. 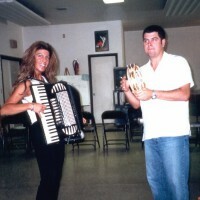 Somehow in the midst of this, Bernardo offered his help in teaching Mercedes the accordion. Her recollection of this moment was that her father immediately agreed to the accordion lessons before she even knew what was happening. 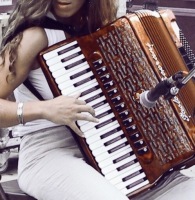 So beginning in early 1980, Mercedes began taking accordion lessons until approximately 1983. Even in the years that followed, she would often call upon Bernardo for his advice on complex music. Bernardo often shared important pieces of music that were written by not only himself, but his cousin, Jose "Pepe" Yanci, who was also an important and innovative accordionist/composer in the Basque Country. Bernardo was always available anytime Mercedes needed him. She says that she wouldn't be the musician she is today without the musical guidance he provided. 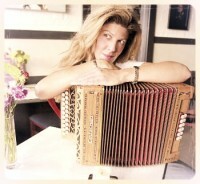 His accordion style and technique is something that has had considerable influence on how she interprets music and from a creative standpoint, how she writes her own original music. 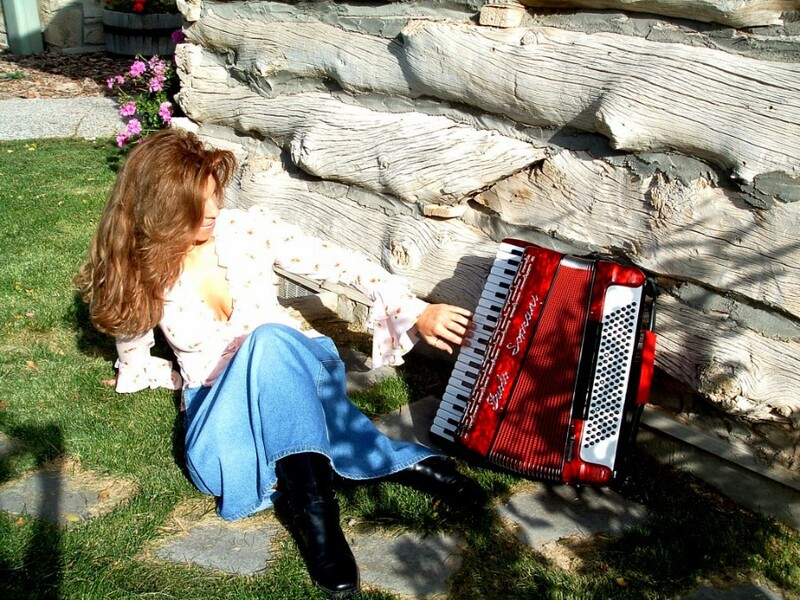 Mercedes' musical journey has taken her to the prestigious International Accordion Festival in San Antonio, Texas, various music festivals in Orlando, Florida, Miami as well as festivals in California, Idaho, Utah, Wyoming and all over the state of Nevada. 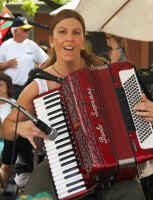 Mercedes was invited to perform as an accordion soloist for the Smithsonian Txotx event in Washington, DC in May 2016. She returned a second time to Washington DC in July 2016 for the prestigious Smithsonian folklife festival while accompanying the Elko Ariñak Basque Dancers (Basque Dancers of the Great Basin) for several days of performances. Mercedes has performed as far as the Basque Country in northern Spain while enjoying musical jam sessions with fellow musicians abroad. She has been an important musical fixture at many of the Annual and National Basque Festivals since she was in her early 20's; but for her a favorite venue is always a place where she can tuck herself into a corner, plug into her sound system and completely transform a room. Seeing people dancing and singing to her music brings her the greatest joy of all. 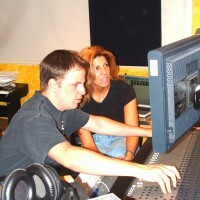 Mercedes recorded her first album/CD in the Bay Area in 2003 titled "Journey to Euskadi", which was influenced by a solo trip she took to the Basque Country in 2001 to surprise a friend for her wedding. There was so much inspiration from this trip that while sitting in her cousin's piso in Burlada [Pamplona], she wrote several songs with a borrowed accordion. Once she returned home to the United States, she finished several more songs for her album in a matter of weeks; the most poignant of which was titled "Andoni'ren Abestia, Zerutik", written for her brother (Anthony) who passed in an accident when she was just 20 years-old. Her combined musical compilations had now defined her as a serious artist. Songs that were unique, eclectic and emotional had now found their voice. Today, she continues to progress and write music, incorporating new sounds and ideas, fusing it together with underlying Basque folkloric influences. Since leaving Miami and returning to Nevada in late 2015, Mercedes has enthusiastically picked up musically where she left off so many years ago. Music has again become a primary focus and she's excited that she can finally share this magnificent culture with not only her community, but she's especially thrilled to be a musical influence and mentor in her daughter's life, who (thankfully) is now following in her footsteps. One of Mercedes' latest endeavors is the Ariñak Project that she co-founded during the summer of 2016 with lifelong friend and fellow dancer/musician Janet Iribarne. Their focus is to elaborate on the Basque Culture not only with traditional dances, but with new dances, new music, instruments, language and songs, thus bringing about a new focus of Basque culture; not only to Club members but to their community as whole. Together (and with the help of other talented volunteers and instructors) they are looking forward to sharing creative ideas and elaborating on the cultural aspects of music, language, and dance within their Basque Club and within their community. ​In September 2017, Mercedes' album "Journey to Euskadi" was launched into iTunes, CdBaby, Google Play and Amazon mp3. Her music can also be streamed through several music streaming services that include Tidal, iTunes Music, Pandora, Spotify and many other music streaming services. She is now in the process of completing multiple original singles, some of which will be released in the very near future! 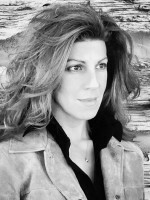 Most recently Mercedes was a featured performing artist with her band, MELODIKOA (consisting of band mates Janet Iribarne [txistu, tin flute & pandero], Kenny Harriman [acoustic guitar] and Beau Steward [percussion], who performed throughout the prestigious 2018 National Cowboy Gathering in late January/early February in Elko, Nevada, titled Basques and Buckaroos. "The best part of playing music is having the opportunity to share it with all of you!"